The Outlaws are a faction of miscreants who plague the people of Aurania. As the Cherrystone Kingdom's army travels across the continent in search of allies against the Felheim Legion, Queen Mercia's pet dog Caesar leads a number of forays against the Outlaws. 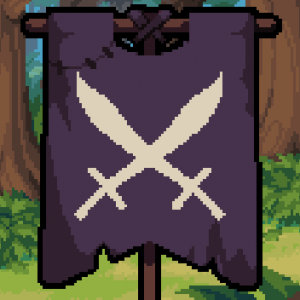 The Outlaws have no commander and use re-colored versions of Cherrystone Kingdom units, but have a unique banner. They appear in the Campaign missions Canine Justice, Puppy in the Middle, Dogged Perseverance, and Salty Sea Dog. This page was last modified on 4 February 2019, at 21:19.